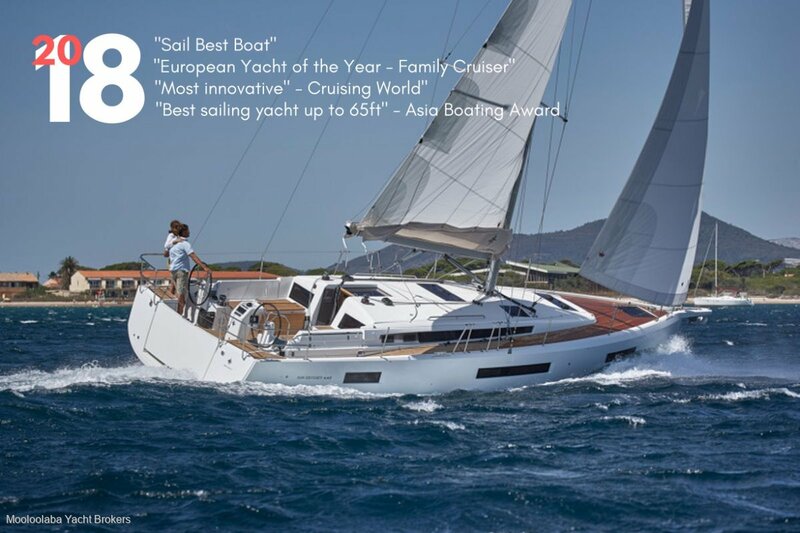 The Sun Odyssey 440 offers multiple technical advantages to perfect handling and comfort on board. 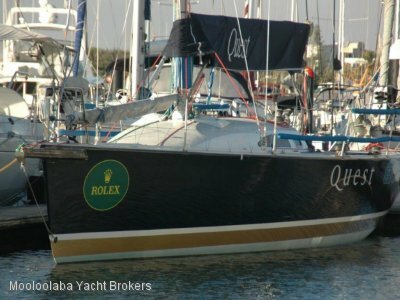 As an entirely new and innovative feature on this type of yacht, the tall protective coamings are extendable. This affords greater security whilst under way, and enhanced comfort when laid flat forming a large and accommodating lounging area and sundeck. Movement about the deck is facilitated by the separation of the shrouds with the vertical shroud located on the outside of the hull, and inner diagonal shroud placed inboard for an easy passage forward and a large genoa. Specially designed canvas options are available which include an innovative option of a fully enclosed cockpit and a high visibility spray hood for protection and comfort in all conditions. 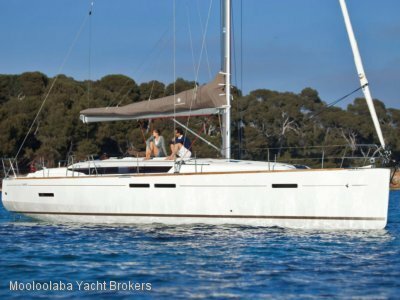 In addition to the inclined and continuous side decks and the extendable coamings, the new generation of Sun Odysseys benefit from a lower boom for easier access to the sail and an increased sail area. The headsail and the mainsail are led to centralised winches located near the helm stations for easier handling from the safety of the cockpit. The cockpit table contributes even more to your enjoyment housing controls for lighting and instruments, as well as a section for storage and an innovative portable 12-volt refrigerator. The is also a portable BBQ that can be used onboardor taken onshore, with the portable fridge, for a picnic! Access to the interior is via a gently inclined 40deg companionway. The design house of Jean-Marc Piaton has created a visually and physically large and lighter living space with a contemporary modern design. The spacious saloon has long hull windows for light, and the table can also be folded down easily to a wide comfortable lounge for when the meals have been finished. The central galley, located in the most stable part of the boat, is easily accessed from both the saloon and the cockpit. More innovations abound with solutions for the microwave and dish storage, as well as an ideally located opening port for cooking ventilation. The chart table is designed in the best nautical tradition with a contoured seat and a large, deep desk with integrated pen storage. Extra storage compartments and a signature clock and barometer set are close to the state of the art touch screen panel enabling excellent monitoring of water, fuel and batteries. With a wider forward section of the hull, and by shifting the head compartment aft and thesail locker forward, the owner's cabin of the new generation of Sun Odysseys enjoys aninterior volume never before seen on a boat this size. The cabin features a berth of 160 by 200 cm, with a multitude of storage compartments, aswell as a private head and separate shower compartment with the luxury of a double door access. The guest cabins benefit from a contemporary and harmonious layout. Thedesign was carefully considered in order to allow each cabin to include largerectangular berths. 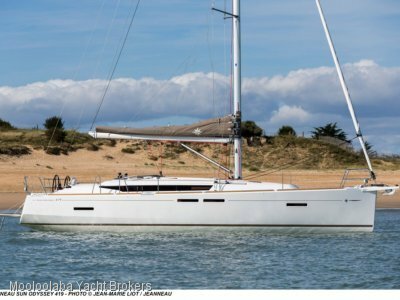 The Sun Odyssey 440 is available with two possible interior layouts, composed of two or three cabins, with two head compartments. The interior, in teak, will also be available in an optional grey cedar wood finish.